Jack is a tool to manage AWS Elastic Beanstalk environments. Jack is a wrapper tool around the aws eb cli3 tool. Jack allows you to create environments using the saved template configuration file generated by eb config save. Jack moves these generated config file to the jack/cfg folder of your project and manages the config files from there. 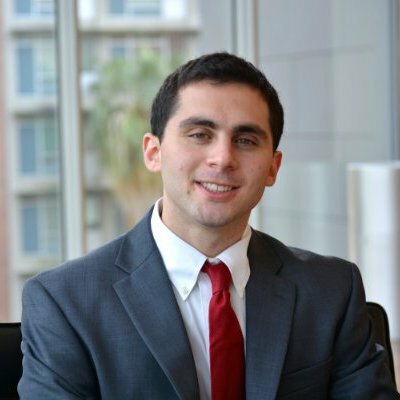 Jack provides a jack apply command to update the Elastic Beanstalk environment. 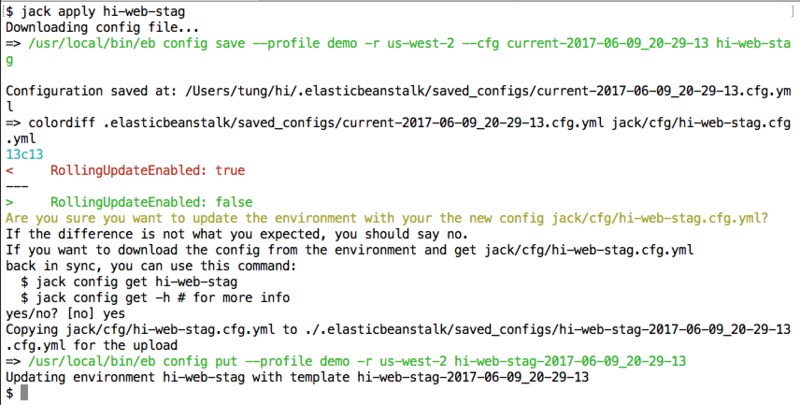 Before uploading the new configuration to Elastic Beanstalk jack first downloads the current configuration and then does a diff on the changes that you are about apply. This gives a helpful preview of exactly what will be changed. This is particularly helpful when changes are made through the Elastic Beanstalk GUI by multiple developers and are out of sync with what you thought they were. Allows codification of the infrastructure by downloading the configuration. You can save the downloaded configs into version control. Safely upload new configs by previewing the changes before actually uploading and applying the configuration to the infrastructure. Moving EB enviroments from one EB application to another EB application. EB provides a way to clone environments within an application but is unable to move the enivornment to an entirely new application. This is useful if you want to "rename" the EB application. Jack is really cool and useful while also making it so easy to start using EB. Thank you for updating the build and for the detailed instructions, it just took me under 10 minutes to set everything up initially for it- I’m shocked at how simple it was.